Straight away I will admit that I have not read the book written by Emma Donoghue. But I plan to. This film caught my eye because I learned that Irish director Lenny Abrahamson, someone I greatly admire was directing the film and that there were Irish people working on the film. I didn't know much going into the film, which was a blessing in this case. I did not know anyone in the cast either. More often than not the films I choose to watch, whether independently released films or block busters star actors that I am familiar with in the cast. However, I made the right choice in watching this film, despite going in blind. Upon researching I realised how critics were giving such positive reviews to this film, which I think was a low budget. So that excited me. 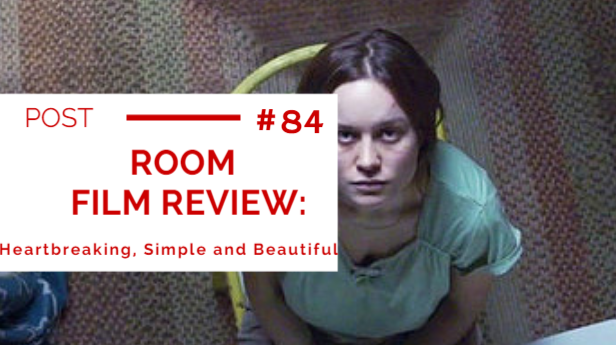 The film tells the story of Jack and his mother Ma (Joy), who had been held captive in a shed titled "Room" by the child's mother for five years. Ma, as it turns out was kidnapped by Old Nick at age 17 and has lived in "Room" since then. As the film progresses we see Ma and Jack come up with a plan to escape "Room", a plan that five year old Jack is terrified about as it's all he's ever known. Jack is told about the outside world, a world he did not know existed, and is trained to play dead in an attempt to fool Old Nick into taking Jack from "Room". The plan is successful, Jacob manages to alert a passerby and Ma is freed from "Room". The pair have to adjust to life in the outside world, something that Jack has never experienced before. 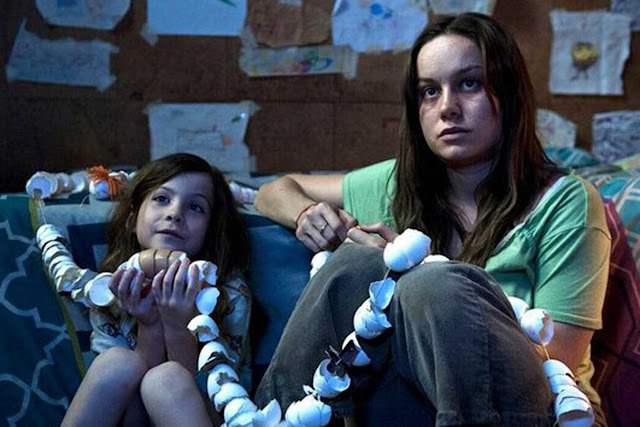 Brie Larson starred as Joy (Ma) and Jacob Tremblay played her son Jack. Both actors did amazing jobs. I didn't expect to connect with this film as much as I did. It's honestly one of the best things I've seen in a long time. 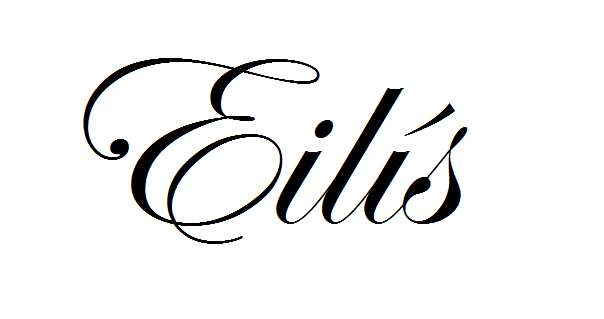 It reminds me of a book called "Stolen" by Lucy Christopher which I read a few years ago. Something I found very interesting, yet makes the film seems all the more real was the fact that Joy's father found it hard to bond with his grandson due to the fact that the man who kidnapped Joy is Jack's father. It created tension between many of the characters in the film but I found this very interesting. There is a stark realism in the film with the mention of depression, suicide and mental trauma. At times the film can be blunt, which I feel is important. The cinematography is so simple but it's beautifully shot. It was filmed in Toronto, Canada from November 10th 2014 to December 15th. I found it extremely emotional and the footage of Jack escaping and experiencing the outside world for the first time brought tears to my eyes. The film is a clever exploration of coming to terms with captivity, freedom and life in a world never previously experienced. I'm telling you now this is worth a watch, whether or not you've read the book. It is amazing film. Brie Larson, age 26 played the character so well. I expected her to be a lot older in real life. She portrayed a mother, a young woman coming to terms with her captivity so convincingly, so much so that I'm almost torn between her and Saoirse Ronan for awards. Jacob Tremblay, a nine year old actor was able to bring an innocence to the role, yet seemed to understand the importance of the character. No doubt he'll go on to do great things. Another actor that stood out in my opinion was Tom McCamus who played Joy's stepdad Leo. His character had a few touching moments with Jack throughout the film and I felt like he was a convincing father figure. Joan Allen, who played Joy's mother brought an interesting insight into the life of someone who was on the other side of Joy's kidnapping. The score was lovely, I particularly liked the score when Jack finally meets the outside world, it's simple but conveyed the emotion of the scene perfectly. I think that's what made me emotional. 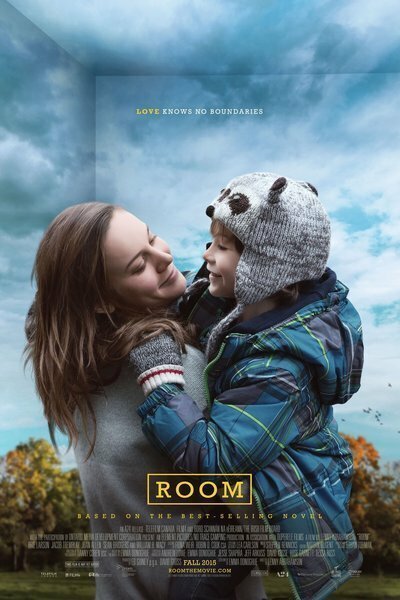 Room is doing so well on the awards show circuit, with Brie Larson being nominated for a Golden Globe for Best Actress. As I said, having seen this film I am wondering whether Saoirse Ronan or Brie deserves the award. I honestly couldn't recommend this film enough and seriously well done to Emma Donoghue, an Irish writer for writing the book and also the script for which she has been nominated for a Golden Globe. Seriously, please please watch this film, but be warned there are some disturbing moments in the film. Lenny Abrahamson has to be given credit for such a beautiful film, he's an Irish director you should watch out for! Find out more information on the film on Wikipedia and please follow Lenny Abrahamson on Twitter to keep up to date with his films. Fingers crossed the film will do well at the Oscars. Thanks so much for reading and I hope you enjoy the film.